35 Things your employer cannot do! You can ONLY apply in person when the Apprenticeship is open. Contact our Local 36 Apprenticeship Coordinator for information. Woman and minorities are encouraged to apply. Veterans Preference Points apply and Veterans that have GI Benefits may use them in this program. Selection Process will be through “ranked interview” of qualified applicants. All Mechanic Upgrade Classes are held on the first Saturday of the month. Why Union? Hard working men and women are seeing their way of life on the verge of collapse as health insurance costs skyrocket, pensions disappear, and real wages stagnate. The future of working families depends on a united voice that can stand up to powerful interests. In the early 1900s a small group of workers had a common goal to protect the rights of themselves and the contractors they worked for, and forming a Union had to be part of that goal. The majority of the past 100 Years we have been known as the “Asbestos Workers” we now proudly work under the name “International Association of Heat & Frost Insulators & Allied Workers Local 36”. With this “100 Year Celebration” we want to acknowledge all the men and women that spent their careers working as Asbestos Workers and those that today work under the title “Allied Workers”. 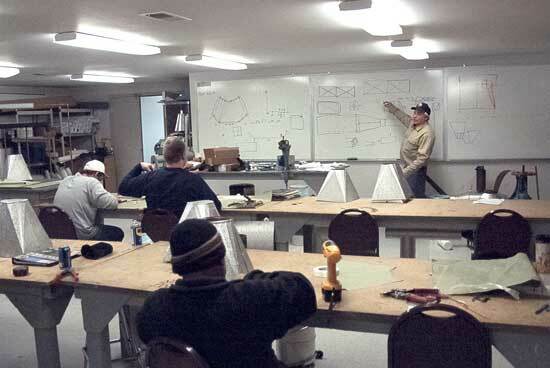 The Heat and Frost Insulators and Allied Workers Union is committed to providing an adequate supply of trained insulation mechanics with the competitive skills necessary to meet industry needs now and in the future.